James Whittaker is a former engineering director at Google and has been responsible for testing Chrome, Google Maps and Google Web Apps. In this book written with Jason Arbon and Jeff Carollo, he describes how Google organizes its software testing process. 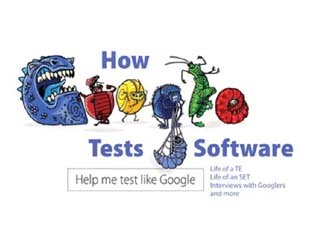 The Google software testing organization that has three roles: Software Engineer in Test (SET), Test Engineer (TE), Test Engineering Manager. 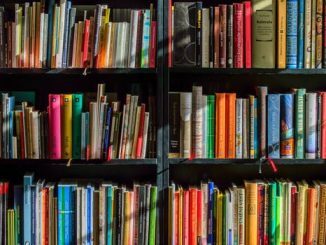 Practical Unit Testing with TestNG and Mockito is a book that is intended especially for those who would like to start unit testing their code, but are unsure about how to get started and what to focus on. It presents the unit testing domain with examples in the Java language using the TestNG and Mockito open source tools. This book is primarily aimed at .NET developers interested in starting with TDD and those who already practice unit testing and want to move beyond that into development driven by acceptance testing. Some authors are good at presenting theories but unable to connect them to practice. Other are good at telling stories from the trenches, but without being able to produce an analysis of the situation and propose some solutions. On the less examined domain of agile testing, Lisa Crispin and Janet Gregory are, luckily for us, presenting a book that covers both the personal experience of being a tester in agile projects and a conceptual vision of the place of quality assurance in software projects. Thus you will find in this book “stories” that comes from past projects and “mind maps” that helps to have a high-level vision of the material of each chapter. This book provides a structured approach that will help programmers to identify and remove bugs in code. It is based on a four steps process: Reproduce, Diagnose, Fix, Reflect. For each activity, the author provides practical material on how perform it. This book presents a comprehensive treatment of the domain of software testing automation. The first part defines and describes test automation, proposing a business case for automation and discussing the pitfalls that should be avoided.